A women-led, mother-daughter, company called Brimstone Orginals, operates out of Largo, FL, producing hot jellies, that are all natural, fat free, and gluten free. 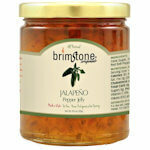 The Habanero Pepper Jelly is the hottest of the bunch and the most popular. 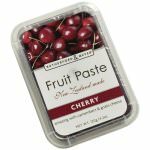 Try this jelly to spice up your dishes. 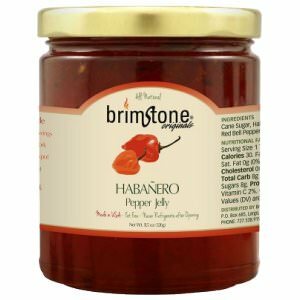 This Habanero Pepper Jelly is the original of the Brimstone Originals. The jelly was made by Eileen O'Hara as a gift to her husband in 2003, and developed into an award winning jelly after hard work at craft fairs and food shows. Brimstone's advice: do not refrigerate after opening, simply store it in your pantry! 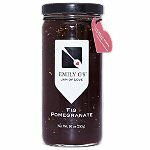 The vinegar acts as a natural preservative and the product will remain usable for dips, sauces, marinades, and glazes for up to four years after opening. Ingredients: Cane sugar, habanero peppers, distilled vinegar, red bell peppers, pectin and habanero powder.